OUR MISSION is to provide children with a loving, nurturing, environment allowing for social and emotional growth. Hands-on learning is accomplished through creativity, self-expression, and good old-fashioned fun! We believe interaction among children, parents, and staff is the key ingredient for providing a comforting and secure home away from home. We will continually strive to ensure that your child’s early memories are those of warmth, laughter, and happiness. These are important times in your child's development requiring special attention and hands-on nurturing. Your child will experience a learning environment which will stimulate their interests, language skills and proper social skills. School age children will explore their independence through a well established program motivating them to focus on fun learning. 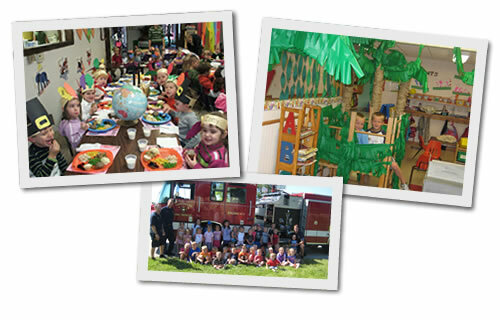 With child care programs ranging from 6 weeks to 12 years we can meet your child care needs.